Since 2006 Stockholm University has run an Astrobiology Graduate School which is organised by four different departments (Stockholm Observatory, Physics, Geology and Geochemisty as well as Molecular Biology and Functional Genomics) with Nordita as external partner. Ten students were enrolled at the Graduate School (8 in the original school and 2 joined later). 4 of them have now finished their Ph.D. studies. The school organised tailored Astrobiology courses, seminars and other activities. Further information is available at the website of the Astrobiology Graduate School. 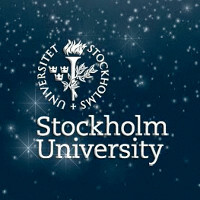 The Stockholm University Astrobiology Centre will be officially opened on 2 September 2011. A website of the SU Astrobiology Centre will be created soon. Stockholm Observatory has been carrying out multi-method, pan-spectral observations in star and planet formation regions as well as in the atmospheres of evolving stars, the birthplace of the bio-organic elements. The Observatory has played a major role in the very successful Swedish-led international space observatory Odin, developed specifically for the observation of the biologically important molecules H2O and O2 in interstellar space. In addition, Stockholm Observatory is strongly engaged in future ground- and space-based projects, which will address some of the most important questions within astrobiology, e.g. the Atacama Large Millimetre Array (ALMA), the space infrared telescope HERSCHEL and DARWIN, a space mission designed to find and characterise habitable planets. The Physics department has been performing cutting edge research in the characterisation of astrophysically important dissociative recombination reactions. Using the ion storage ring CRYRING, a full characterisation of many interstellar dissociative recombination reactions have been carried out and the results used as input for state-of-the art astrophysical models. For example, the experiments on the DR of H3+ led to a reassessment of the cosmic ray ionisation rate in diffuse clouds. Also, observational projects have been performed at the IRAM Observatory (Pico de Veleta) and Onsala Space Observatory. The new double electrostatic ion storage ring DESIREE, also at Stockholm University, will allow the study of mutual neutralisation and reactions of large ion clusters, which are important for planetary ionospheres. In the field of Geology and Geochemistry, the focus has been on prebiotic organic chemistry and other geochemical processes in ultramafic rocks (rocks with a low silica content) like peridotite-hosted hydrothermal environments of the ocean floor. Life in submarine hydrothermal systems is based on chemosynthesis at variable temperatures (up to 121°C) and many researchers think of them as model systems for the earliest life forms on Earth and other planetary bodies. Because the lava compositions in the Hadean may have been ultramafic rather than mafic, modern serpentinisation systems may be good analogues for environments in which early life may have evolved. The department of Molecular Biology and Functional Genomics has a broad range of interests, and several members of the department work directly on questions in early evolution. The department has worked actively on the origins of DNA, the RNA world, and the nature of the Last Universal Common Ancestor and addresses these questions with a diverse array of approaches, including theory, phylogenetics, bioinformatics, molecular biology and biochemistry. In addition, the departments involved in the Astrobiology Graduate School have already organised a number of international high-profile astrobiology-related events. In May 2006 an international conference with the title “Nordic Astrobiology 2006: Origin and distribution of Life in the Universe: A Nordic Perspective” was hosted by Stockholm University, underlining the importance of Nordic research in this field. In June 2006 a Nobel Symposium “Cosmic Chemistry and Molecular Astrophysics” was organised by Stockholm Observatory together with Physics Department, with the main applicant functioning as Conference Secretary. One of the sessions of this meeting was devoted explicitly to astrobiology.